When there are no active tasks, the Task Manager will show as a stationary wheel to the right of the Devices menu. When an active task is being performed a red banner will show at the top of the app and the wheel will begin spinning. Tap on the red banner or spinning wheel during an active task. You will see an increasing percentage count and label associated with the task you have assigned. If the wheel is not spinning, that means GNARBOX has completed all tasks. 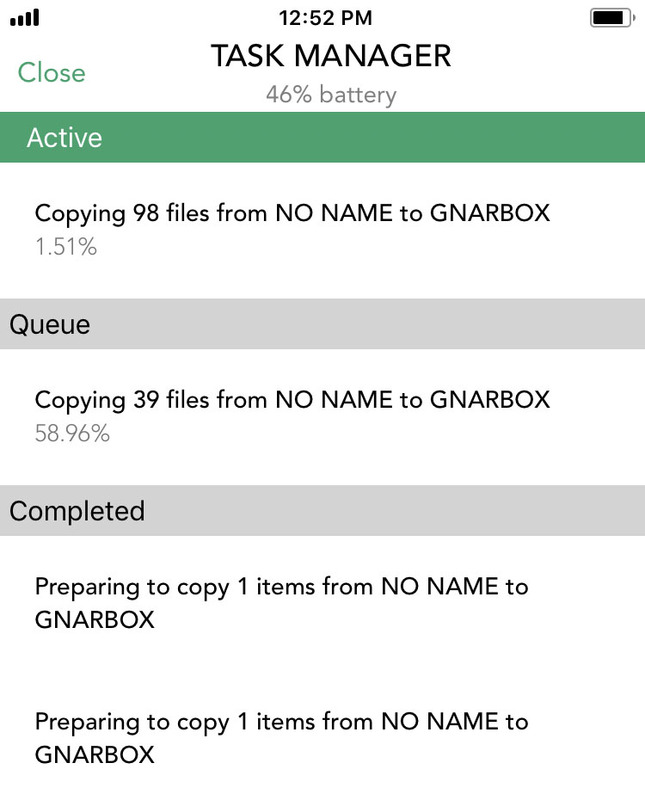 If you select multiple actions for the GNARBOX to perform, you'll see the Task Manager designate the new tasks as in "Queue". Active tasks will continue until the "Completed" banner shows. For maximum efficiency, let tasks complete before moving onto the next. 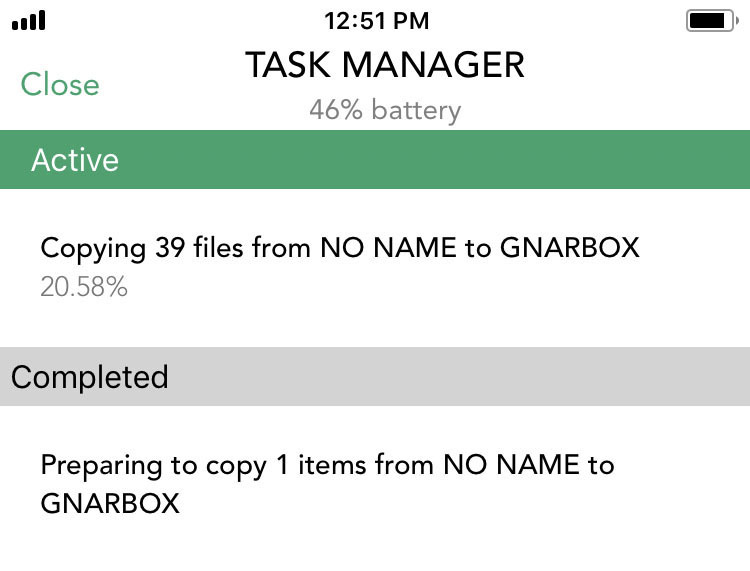 If you have more than 4 major tasks going at once, GNARBOX may slow down.